As the curtains are pulled on another year it provides the channel with a chance to look back and take stock. 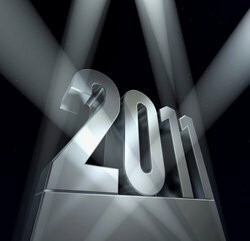 In many respects 2011 was like the year before with success having to be hard earned and the economic problems continuing. As the curtains are pulled on another year it provides the channel with a chance to look back and take stock. In many respects 2011 was like the year before with success having to be hard earnt and the economic problems continuing. But many in the channel managed to survive and flourish in this 'new normal'. Amro Gebreel looks back on the year that was. Powwownow CEO, Andrew Pearce told MicroScope it has been a good year for many companies in the technological sphere, generally speaking, but sadly the same cannot be said for businesses working in other fields. "SMEs in particular have been hit hard, and I find it ironic that banks at this time will gladly lend to companies doing well, but not the companies that are in desperate need of the money. This has led to curious developments in cloud computing; the process which makes it very easy to upscale and downscale at low cost - essentially a 'pay as you go' model. "The amount of companies using remote working has also risen as a result of economic constraints, and this is only expected to continue, especially in the run-up to the London 2012 Olympics. 'Deals' are now also a source of tech and online innovation, and thus the savvier consumer has turned to these sites for huge cost saving opportunities, and mostly via their smartphone devices. This has meant 79% of smartphone owners now use their phones for shopping related activities - and this is also expected to grow in 2012," he said. Check Point UK MD Terry Greer-King, told us that the security sector is healthy and robust for both vendors and the channel right now. "Even though there's an overall impetus to drive down costs, end-users are still spending on security because new solutions can make things simpler for them, while boosting protection. There are also plenty of opportunities for the channel to re-engage with existing customers and upsell them, too, with renewals and incremental sales. We're actively working with partners to help them uncover and capitalise on these opportunities." Emmet Florish, channel development manager EMEA at SolarWinds, said it was excited to see a series of new types of resellers coming into the market. "There is a sense of eagerness in the channel to match certain technological changes to be able to offer end-customers the right portfolio of solutions. From an economy perspective, it has been a challenging time for Europe and globally with companies evaluating purchases in finer detail as they watch their spend more carefully. We feel that we've been able to work closely with our channel partners to equip them with the right expertise in order to support their business and help shorten sales cycles. "We have seen an increasing demand for expertise in virtualisation and products that support datacentre environments and therefore new opportunities for the channel to embrace new technologies. From a channel perspective, we have seen partners who had traditionally been strong in markets such as networking, recruiting in-house expertise in storage and cloud infrastructures to meet demand in these areas. "Smaller, more specialized resellers have also started branching out into new areas in order to ensure consistent growth in their business by supporting a big demand in cloud infrastructure and virtualisation offerings," says Florish. Tom Perry, marketing director EMEA at ShoreTel, said that mobile working has traditionally been reserved for sales teams and field employees, roughly 20% of the workforce, but this year saw enterprises take steps to mobilise the remaining 80%. "Enterprises have begun to wake up to the convenience of internet anywhere for smartphone and tablet users and the potential to greatly increase productivity by encouraging remote working. Due to a backlash from employees not wishing to utilise a mobile device dictated by their company, 2011 sparked a rise in bring your own device (BYOD) schemes being rolled-out across enterprises," Perry explains. "BYOD has enabled companies to reduce CAPEX whilst boosting staff productivity. The channel has been quick to respond to this trend, with many partners opting to add value by creating new applications on top of vendors' mobility solutions. Channel partners can now offer solutions that enable enterprises to create a hybrid mobile/telephony system and make use of evolving device applications," he adds. George Zervos, UK channel manager at Kemp Technologies, told MicroScope that 2011 was the year that saw ADC (Application Delivery Controller) / server load balancing expand dramatically in the SMB space thanks to applications like MS Exchange 2010, Sharepoint and Lync. "Our reseller partners have experienced growing professional service revenues over 2011. Anecdotally, their customers have been streamlining / consolidating their IT, driven by virtualisation, cloud applications and the need to upgrade applications like MS Exchange - all areas that have an impact across an organisation's IT infrastructure. "Successful resellers have skilled-up to take advantage of this. Our channel saw good business growth and visibility of projects over quarters 1 and 2 and largely lived off that in quarter 3. Quarters 3 and 4 have not been as buoyant and we have seen a softer market with some projects postponed or cancelled. Everyone feared the impact of public sector IT budget cuts at the start of 2011. Has the private sector filled-in the expenditure gap? We would have to say that it has not. However, consolidation projects in the public sector are still yielding rich pickings for integrators with the right know-how and ability to manage and implement projects." Dave Stevinson, VIP's sales director, told us that 2011 was a year where the larger retailers gained further ground on the big box retailers using speed, agility and cost as the primary differentiators. "Looking ahead to 2012 - I predict it will be the year of the marketplace where an increasing amount of consumer traffic and sales is driven through the 'marketplace' portals." Fabrice Prugnaud, EMEA vice president at LogLogic, said it had been a transition year for its channel and market. "There have been many acquisitions in the log management and SIEM space (IBM buying Q1, McAfee buying Nitrosecurity, HP and ArcSight etc) which has raised questions on the next got-to market strategy for the newcomers as they now have very large portfolios. "The convergence of IT security, compliance and network monitoring has led to resellers having to expand their understanding of the market and we have seen more traditional integrators, MSPs and VARs coming into play. 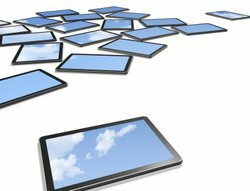 As we move toward 2012, the channel is increasingly looking at cloud solutions and adopting virtualised solutions - this is certainly the best way to prepare for another year of instability in the economic climate." 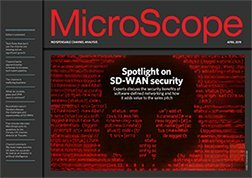 Gary Newbold, UK MD of Extreme Networks told MicroScope that 2011 has been an interesting year both in the Network industry and for Extreme Networks. "The world is being engulfed by mobility," says Newbold. "Mobility incorporates devices, people and applications and all of these have a need to be both mobile and secure. Organisations have the challenge of delivering services to their customers and employees at anytime, anywhere and on any device. This puts stress on management and provisioning and vendors need to provide solutions for this developing trend. "Extreme have solutions that provide VM management/tracking and also have a unique solution that enables people to be authenticated onto the network and given priority and privileges associated to them automatically by Identity Manager. Above all, organisations need a robust, secure and cost effective solution to today's business networking issues and vendors need to react and bring those solutions to market quickly." Aydin Ucbasaran, regional sales director UK, told us that wave upon wave of data breach stories have knocked out the complacency that had built up around parts of IT security. "While CEOs asking CIOs how much it would cost not to be the next Sony, maybe our industry's current urban legend, we are seeing customers no longer blindly renewing the technology they purchased a number of years ago. They are going back out to the market to review their security strategy in total, which is a superb opportunity for the channel. "Furthermore, there now seems to be an understanding that key management is the cornerstone to running a successful security implementation. This, plus organisations trying to piece together strategies for migrating data and infrastructure to the cloud, represents a real opportunity for our resellers to position themselves as true security partners, and provide tangible benefits to their customers." Steve Holford, director at hosted services provider, Rise, told MicroScope that cloud computing has been one of the buzzwords of 2011. "In 2010 a lot of end-users were asking 'what is cloud computing?' Fast-forward 12 months and businesses are not only understanding but also embracing the cloud. 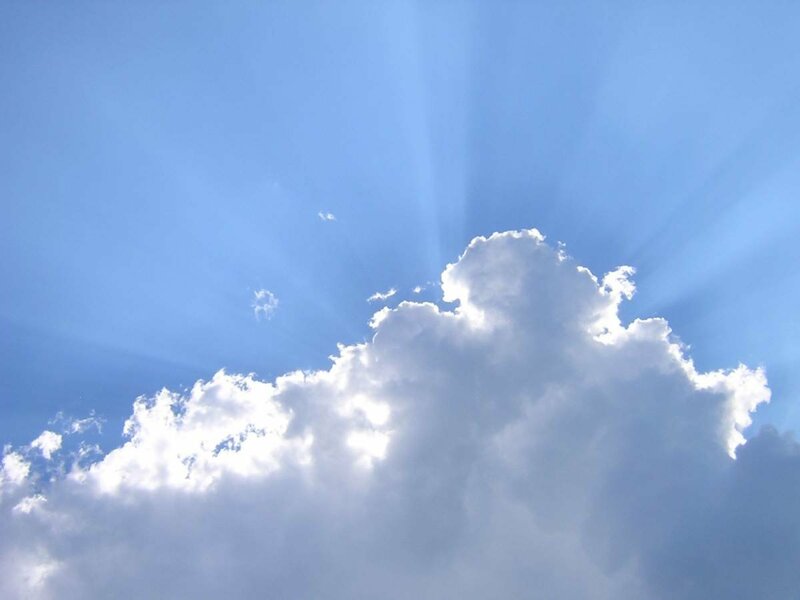 Research from the Cloud Industry Forum (CIF) identified that cloud adoption has increased in volume by 10 per cent, with over 96% of participants, who are using a cloud solution, stating they are satisfied with their cloud services. 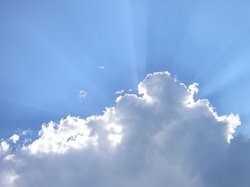 "Also, in terms of future trends 73% of cloud users expect to increase usage by 2012. This research carried out by CIF, validates what we're seeing in the market, that cloud services are a reality today, and that cloud services are proving beneficial for users. As a result, all organisations need to be aware of, and consider how best to make use of hosted services. It is also clear that organisations looking to migrate to the cloud will actively seek advice from IT resellers. We've seen that over 90% of end users actively seek advice from third parties such as IT channel partners before investing. With this in mind its imperative that resellers and channel partners are educated and aware of how to assess and guide end users over Cloud services." John Antunes, director of SME and channels at SAP UK, said that despite the doom and gloom on the TV and radio news it had been a strong year for technology. "FY11 has remained a strong year of growth for the SME customers we have. They continue to invest in technology as a business enabler and to make use of technology to give them fully integrated business systems that give them a 360 degree view of their business. The trends of big data, business analytics, mobility and cloud continue to gain momentum. "With data volumes exploding, SMEs are increasingly seeing the benefits of real-time data analysis in order to maximise on business opportunities," Antunes continues. "Mobility in the work place is increasing too, with the latest acronym of 'BYO' (bring your own) becoming more commonly used. The worlds of personal life and work continue to merge, and we are seeing more and more people looking to their employers to allow them to access both work and personal email on one device, typically their own smart phone or tablet. This continues to pose a challenge for CIOs who are tasked with maximising the mobile work force whilst still maintaining the security of their IT infrastructure. "Cloud too continues to gain broader adoption as businesses, especially in the current economic climate, begin to see the value of moving to a predictable monthly cost model as opposed to CAPEX spend on large on-premise hardware and software deployments. There still remains some concern about data security as well as some confusion about how cloud technology really works, but overall the move continues." Matthew Cockerill, associate design director at Seymourpowell, said that it had been a year of transition as the vendor community looks to sort itself out as different form factors emerge. "It has been a disruptive year with the tech land grab for the post PC world continuing to unfold. With Apple having put the first stakes in the ground with their iphone and ipad ecosystems in previous years, the competition has been running to catch up and in many cases failing. The balance of power is continuing to shift from hardware focused manufactures to software and content providers. "Android continues to gain market share with the launch of the Ice-Cream Sandwich version of Android and perhaps more significantly Amazons Kindle Fire seems to have found the sweet spot for mass market adoption of tables, namely price, tightly integrated content delivery and an interesting Silk browser deploying a split-architecture. "Many hardware manufactures have started to admit defeat in the battle to own the whole product experience. Evan hardware and software together have not proved enough to attract consumers. Nokia's abandonment of their MeeGo platform in favour of a Microsoft's Windows OS and HP's recent disastrous launch and withdrawal of their Touchpad tablet in less than two months are exemplary cases." Later this week on MicroScope.co.uk, be sure to check back for the second half of our review of 2011.